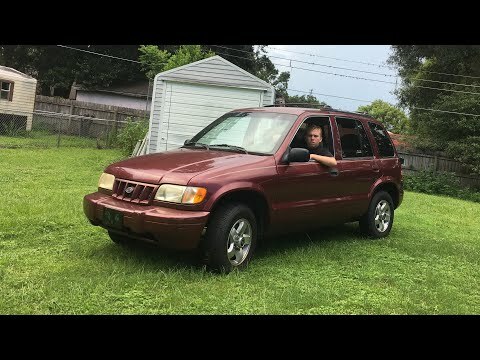 2001 Kia Sportage 4x4 convertible is a dream come true. Well when it comes to any issues I would have to say not really much other than the drop top also known as convertible can be somewhat hard to handle with the zippers if not maintained properly. Performance-wise it is a very unique vehicle someone close to the same reliability that I would consider from a Jeep because of its 4 x 4 capabilities. Comfort is how you look at it. If you are someone who was looking to enjoy yourself and feel the breeze of the air without having the top on, then this is exactly what you are looking for. When it comes to features, the electronics make it real smooth to control and it is equal capability to change the way of use of power distributed from the vehicle is also amazing. The issues with the disadvantage of what you have to do to open and close the back hatch. I bought this vehicle used. I was looking for a small SUV, and I love that this vehicle is small in size, but is still very spacious on the inside. The only thing I do not like about this vehicle is that it is difficult to open the back hatch. First, you have to pull a release to move the frame open that the spare tire is attached to. Then you have to put the key in and while the key is turned, open the back hatch door. Once you shut it, you have to turn another latch to release the spare tire frame while pulling the frame towards you at the same time. Therefore, you have to use both hands which can be an inconvenience. 2001 Kia Sportage 4 door, automatic. Bad= only 20 mpg, stiff ride, no maintenance manual available for prior to 2005 models except to dealers good= roomy, rear wheel drive, heavy duty frame with brush guards for fuel tank, muffler. Performance is pretty good, cruises along nicely at 75mph. Mine was bought used, but I replaced around $1000. 00 in parts like all new tires exhaust, u joints and carrier bearing, battery, drivers side power window motor and master switch, tune-up etc. , so it is reliable now.